Beautiful ring! The photo doesn’t do it justice. And it’s so much fun! Bought the ring for my granddaughter who decided to come visit. She loves it! The young man who took my irder was more than extremely professional but also very pleasant. Also, I saw where the ring shipped from Roswell NM where I was born. Love this ring. I already got 2 of them and just bought this 3rd one for my sister. If you like cats this is a must have. The ring is adjustable which makes it perfect (purrfect) for any finger. beautifully crafted ring and love that it is adjustable. I love this ring and I appreciate the quick delivery service. 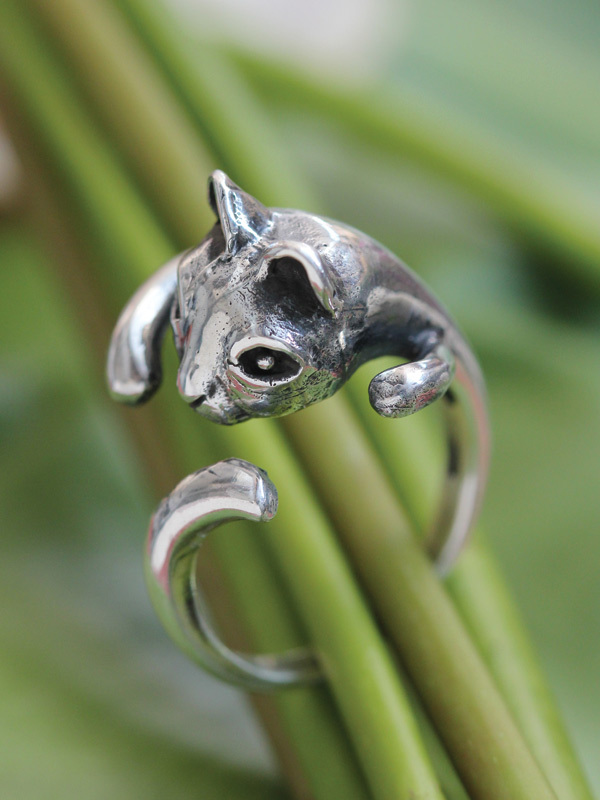 My daughter is very much a cat person and really liked this cat ring.